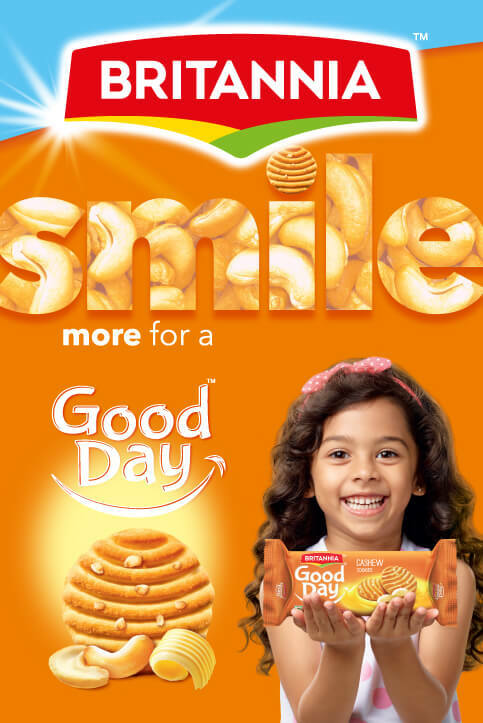 It’s a Smile that makes it a Good Day! The smaller joys of life that can brighten up one’s life everyday often get ignored in the pursuit of larger joys. 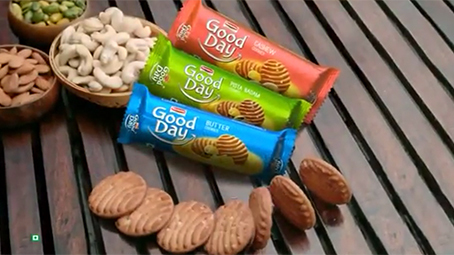 With its tagline of “Har cookie mein kayi Smiles.” Good Day will act as an enabler in enjoying all those small moments in everyday life! 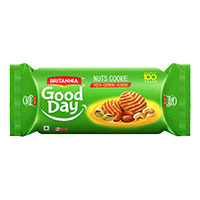 In its brand new tastier avatar, Britannia Good Day brings alive its philosophy of Smiles through its new Logo, packaging and cookie, the New Good Day cookie comes with a smiley design on it as well! 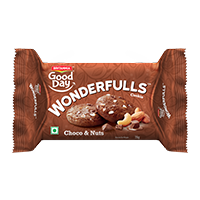 Good Day Choco-nut is the result of bringing together rich cocoa and crunchy nuts in a cookie. 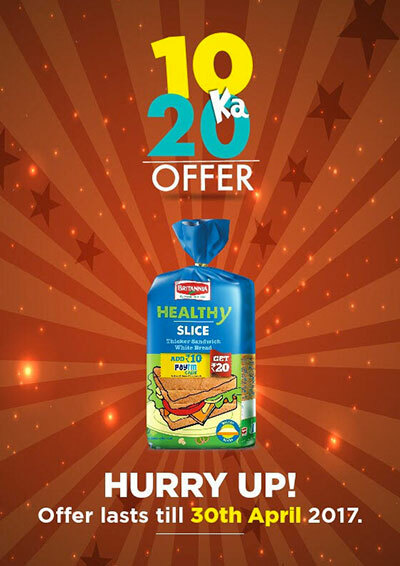 With every bite of this scrumptious cookie, your taste buds are treated to a duet of flavours that is so delectable, that you will not stop at one.